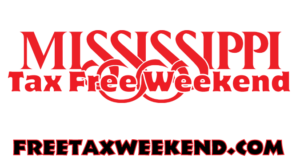 Mississippi Tax Free Weekend 2019 items lists, dates, and full details below. House Bill 348, as passed during the 2009 Regular Session of the Mississippi Legislature amended Section 27-65- 111, Miss. Code Ann. to provide for a sales tax holiday to begin at 12:01 a.m. on the last Friday in July and end at 12:00 midnight the following Saturday. For 2009, the sales tax holiday was on Friday, July 31, 2009 and end Saturday, August 1, 2009. Each year the dates for the sales tax holiday will coincide with the last Friday in July. The sales tax holiday allows customers to purchase certain articles of clothing or footwear free from Mississippi sales tax. The sales price of each article of clothing or footwear must be less than $100.00 to qualify for the sales tax holiday. 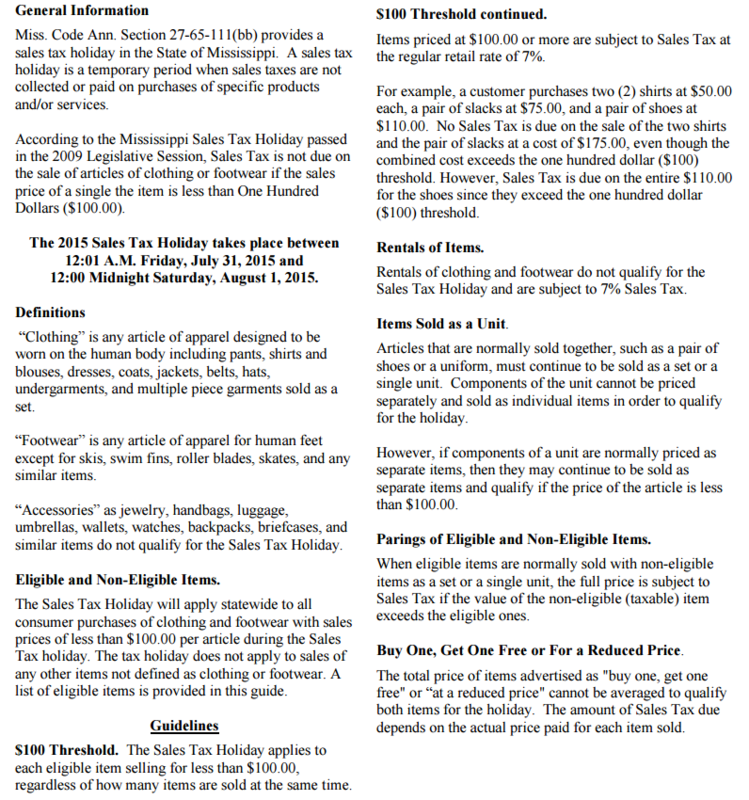 Items priced at $100.00 or more will be taxable during the Mississippi sales tax holiday. Looking for the nearby state of Tennessee, here you go: tax free weekend 2019 tn .